If the fire marshal was tasked with doing spot checks on geeks at home to be sure they weren’t over using their outlets, he would have a heart attack at my house. Every one of my outlets in the office is in use either powering a computer or other gadget or charging a USB device. Several outlets have multiple extensions plugged into them too. 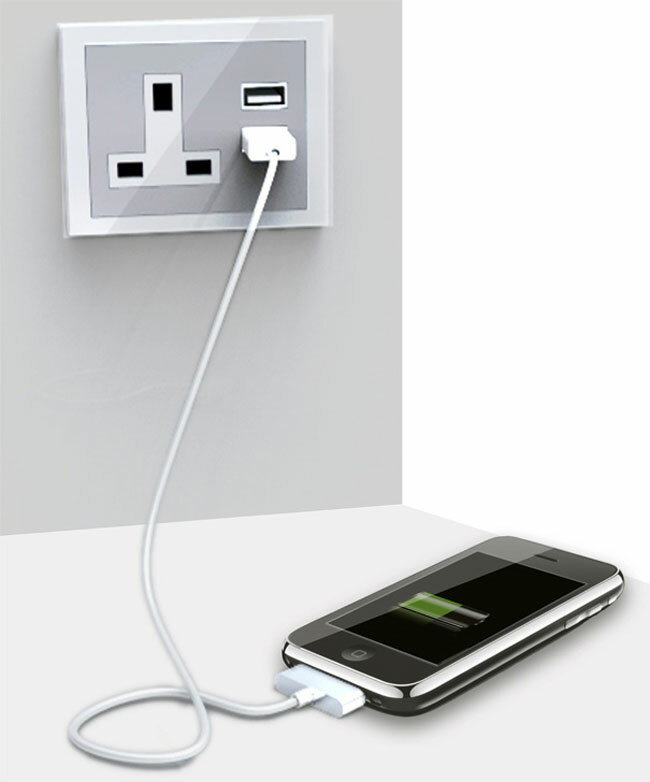 What I want it something like the USB outlet design concept. The AC outlet in the picture isn’t made for the US, but you could change that easy enough if the concept went into production. I really want the pair of USB ports that the outlet has. With those, I could remove the AC USB adapters I have plugged in for the iPad, iPhone, and other gear and just go straight to the USB ports freeing up AC outlets for more surge protectors. I hope someone puts this concept into production.